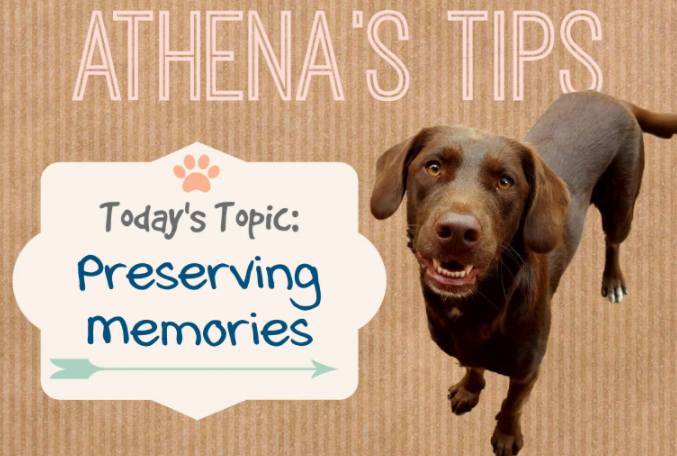 Preserving memories for years to come is very important (especially when my lifespan is only 15 years, I want my humans to always remember me!). I’m not talking about Facebook, Instagram, or Ancestry.com, but I’m barking about something dif-fur-rent that combines all of these areas in one, online place! It’s called FamilyBark. Oops, I mean FamilyArc™. Your legacy is valuable, and it paws-itively should be preserved for current and future generations! FamilyArc™ is a private, digital, online archive platform that allows family members to capture, catalog, and celebrate their legacy (you will need to help your furry family with typing since God did not create us with opposable thumbs). FamilyArc™ provides a museum-quality, secure space to save your family’s memories, documents, images, and more in one digital location. It is a place ‘fur’ your family to upload, update, store, and share updates and memories. The pet-tential is endless! Furst, each family member has their own login that takes them into your family’s personal website. FamilyArc™ even has human representatives (you might be able to request furry representatives. It’s worth a try.) to help you convert vintage pictures, birth certificates, and old videos into a digital archive to share with other members of your family! Share past and present stories that can be treasured by your family well beyond your lifetime. It is also a paw-some place to store digital copies of your will and other documents so that your family has easy access to this important information when the time comes. Fur-tunately, there are different levels of users that the primary admin can control. That way, if you want to share a memory or document with one person (or pet), then you can be super secret and restrict access. It’s pretty paw-some! I almost fur-got to mention! CIS Wealth off-furs our clients a complimentary FamilyArc™website! We understand that your legacy is important, and preserving your family legacy no longer has to be a challenge. Don’t paw-nder this opportunity too long. Contact the humans at the office at 830-609-6986 to get your pawmazing FamilyArc™ website started today!